It wasn’t until I saw the pleasantly surprised faces of my sister-in-law and her fiance at Christmas, when they bit into the chicken dish I made and realized they actually liked it (and didn’t have to choke down a few bites through a strained smile just to be polite), that I realized what a terrible reputation poor chicken has developed: one of blandness, dryness, and overall repulsiveness. One of diet food and only-if-forced-ness. But let’s not forget all of the potential chicken offers: how easy it is to cook with. 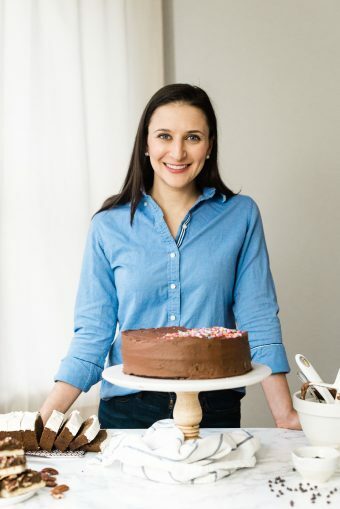 How versatile it is, and how gentle it is on my limited meal-prep schedule (especially now). How flexible it is about being whatever you need it to be and adapting to whatever flavors are forced on it. And how you can make a metric ton of it in the slow cooker, shred it and have dinner bases for the entire work week without more than 5 minutes of actual work. I’ve fallen off the meal prep bandwagon and, heck, I barely even meal plan anymore – but making a batch of slow cooker shredded chicken at the beginning of the week to rescue us from take out and leftovers has been such a lifesaver! 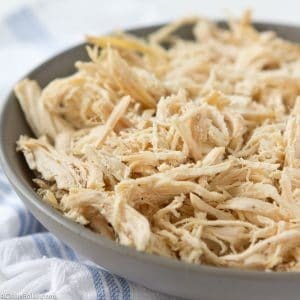 So here is the “recipe” (more like method) I use – scroll all the way to the end – and before that, 5 mouth watering ways to make quick dinners out of shredded chicken! Mix the shredded cooked chicken with one batch of homemade barbecue sauce (heat before adding if you’d like the final product to be warm). 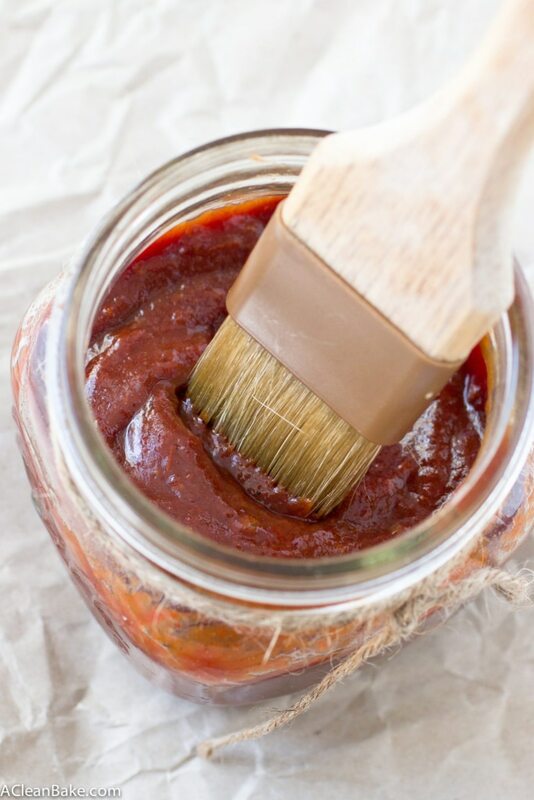 Add a few tablespoons of water if necessary to moisten the mixture, if you like it saucy. Slice grain free biscuits lengthwise to make sandwiches. Add your favorite slaw, if desired. 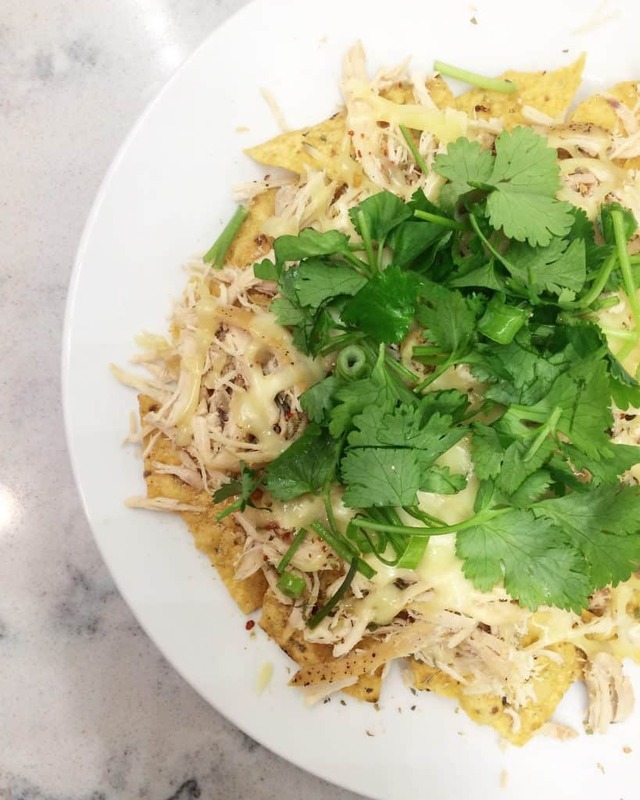 Top a layer of your favorite gluten free or grain free tortilla chips with a generous layer of shredded chicken. Sprinkle with garlic powder, oregano, and Tabasco or salsa (if desired). Add your favorite shredded cheese and heat in the microwave for 30-60 seconds on high until cheese is melted. Top with a handful of roughly chopped cilantro and sliced scallions, then serve. Follow the recipe, replacing the chicken breasts with the pre-cooked shredded chicken. So, skip step #3, and add the shredded chicken as part of step #5 (with the veggies). Mix the shredded cooked chicken with shredded cheese, chopped cooked spinach, garlic powder, dried oregano, dried red pepper flakes and salt and pepper to taste. 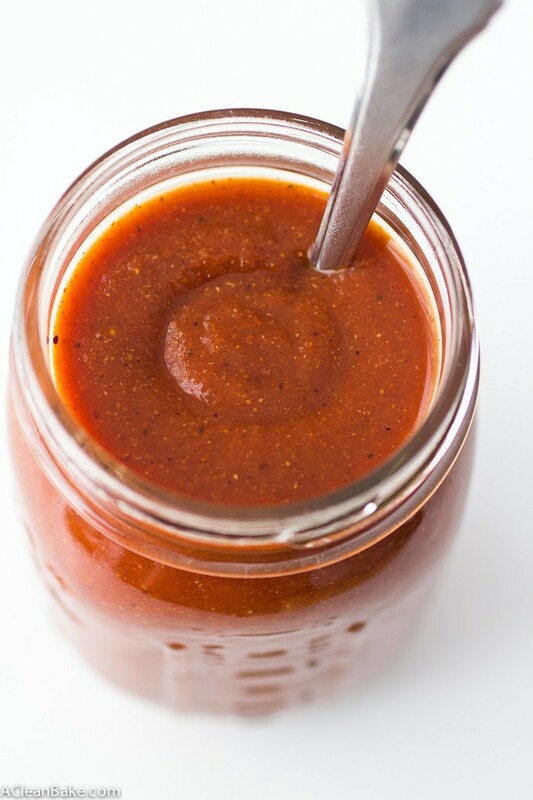 Add about 1/4 cup homemade enchilada sauce (just enough to moisten the mixture). 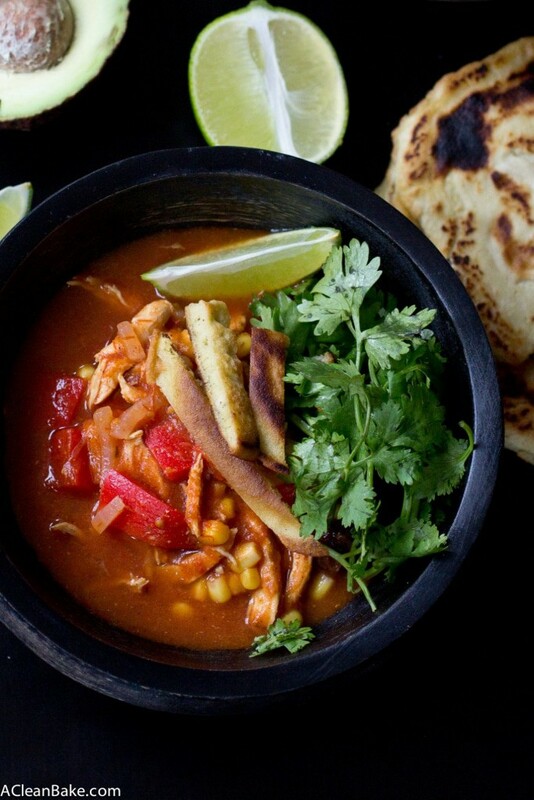 Divide the chicken mixture between 6-8 corn or grain free tortillas. Roll, tucking the seam underneath and place in a greased 8″x8″ pan. Top with remaining enchilada sauce and bake at 350 until heated through. Top with chopped cilantro, green onions and sliced avocado and serve. Wrap 2 whole sweet potatoes in aluminum foil and bake at 350F for 30-45 minutes until soft. Split them open lengthwise and fill with shredded chicken. 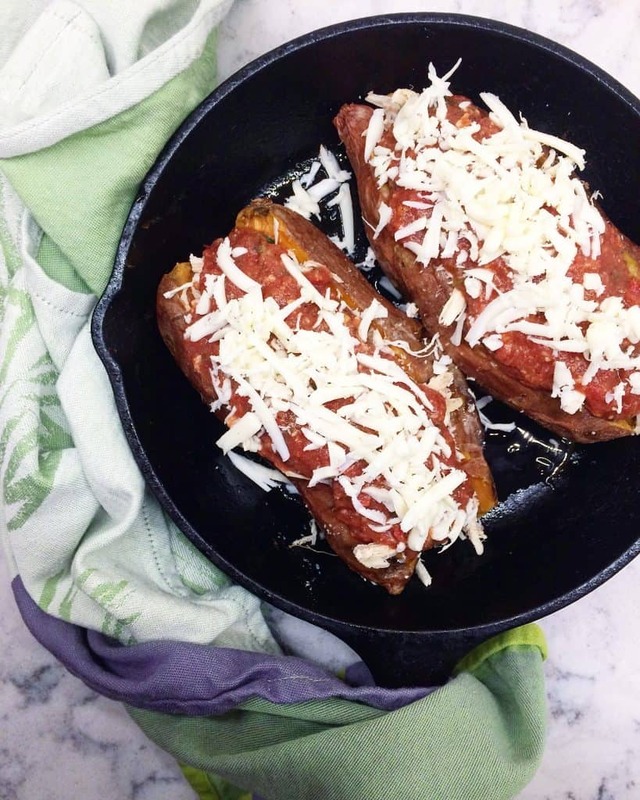 Top with your favorite sugar free marinara sauce, season with salt, pepper, garlic powder and basil to taste (optional) and finish with shredded mozzarella cheese, if desired (omit for Whole30 compliance). Place back in the oven to melt cheese before serving. 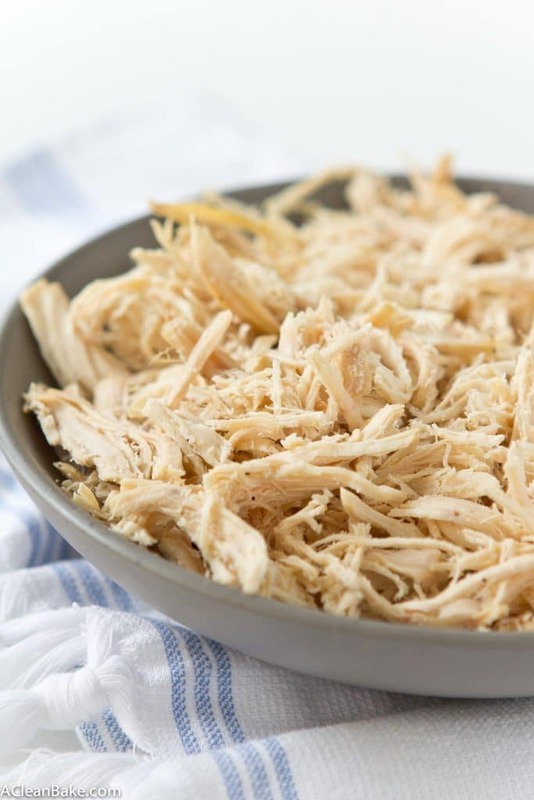 The slow cooker (crockpot) makes large batches of shredded chicken so easy to make. Good thing, because it is so versatile! Dinner is done! Place the chicken breasts in the bowl of a 4-quart slow cooker. Add the water, then season the breasts with salt and pepper. Cover and cook on low 6-8 hours until fork tender. Remove from the bowl, discard the water and rendered fat, and allow to cool. Once cooled, use two forks to shred. LOVE this. My slow cooker is my BFF right now (as I’m sure you can relate) and I love the idea of prepping a bunch of chicken ahead and them adding sauces and such to make different meals with it! Perfection. Great idea. The chicken is the blank palette and the sauce adds the pizazz! What are the measures for the spices in the chicken enchilada recipe? You’re right! Thanks for pointing it out!